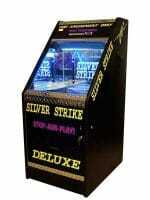 WHOLESALE VENDING MACHINE MANUFACTURERS! Looking for custom vending machine manufacturers? Please contact these vending machine manufacturers direct for more information about the different types of VENDING MACHINES they manufacture. (AMS) Automated Merchandising Systems Inc. is a privately owned company founded in 1997 for the purposes of manufacturing dependable, state-of-the art vending machines. Automated-Stores– Our mission: to develop an intelligent machine with a human-centered design, we produce machines for leading brands around the world. We are global leaders in innovation, providing unparalleled machine design and customization to our clients. Our company’s core knowledge and expertise is in the design and engineering of high-quality robotic systems and software development. Designing and customizing machines, we are constantly sketching new ideas, and thinking of ways to make our products more exciting and more engaging for our customers. Most importantly, we would love to hear about your ideas and bring them to our lab. Visit: Automated-Stores.com. Automated Vendtech designs modernized automated vending merchandisers that will change the retail experience and the way you do business. Our talented engineering, design and implementation teams lend over 30 years of experience in automation, software development, branding, and deployment. These teams work hand-in-hand to implement your ideas, products and branding, build your merchandiser, and see your through deployment and operational strategies. You dream it, We can build it! Carts Blanche, LLC is the first to market with “Mobile Automated Retail Stores”. Carts Blanche has designed six innovative models of “Mobile Automated Businesses”. Our unique product portfolio of small businesses include, VendaCarts, VendaMarts, VendaPromotions, VendArcades, VendaBanks and VendaWorks. Please visit website: www.cartsblanche.com, or Call 1-251-486-5852 for more information & pricing. Coffea.ca Technologies Coffea(TM) specializes in the design, development and manufacture of automatic brewing machines for coffee and other hot beverages. Technologies Coffea(TM) offers solutions that are customized to the needs of customers, regardless of the type of beverage. We are the winner of the Kitchen Innovation Award 2013! Crane Merchandising Systems is the vending industry’s leading manufacturer of automatic merchandising equipment. Crane Co. is a diversified manufacturer of engineered industrial products, a global enterprise with sales and operations spanning the Americas, Europe, Asia and the South Pacific. Headquartered in Stamford, Connecticut, Crane Co. employs over 9,000 people worldwide. For more information on Crane Co. please visit www.CraneCo.com or to view vending machines visit: www.Cranems.com. 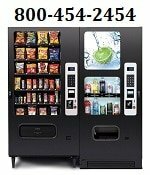 HealthyYOU™ Vending provides state-of-the-art vending equipment, a comprehensive Distributor Support system, individualized coaching and the strongest guarantees in the industry. Not just another vending machine! This beautiful, distinctive vending system attracts customers like a magnet! Business offices, health clubs, hospitals, hotels, schools & colleges everywhere love having it on their premises… HealthyYOU™ Vending! Luca Srl has been in the vending business since 1978. We specialize in manufacturing bulk capsule machines, kinetic machines, including bulk vending products. Based out of Italy. Seaga Manufacturing, Inc. is a premier provider of top-quality vending machines, bulk vending machines, frozen and cold vending machines, change machines and cold merchandisers for a variety of industries, including vending, bottled water, ice cream, soda and juice. Slimline Designs – Wall mount, Floor Standing, and counter top vending and dispensing machines! FACTORY DIRECT pricing and Warranty with the Manufacturer! Wall Mount vending machines: 10 selections of 10 products for selections of 100 packages or upgrade to our 18 selections 675 packages which expands to carry a maximum of 5700 packages. All machines can be equipped with coin changers, bill validators, credit card readers, DEX, and Internet accounting communication. We ship worldwide. Call Toll Free for pricing 1-866-580-3328! 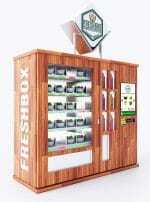 The Venders offers a wide array of custom vending solutions. Thinking outside of the box allows for creative and excited projects that can transform an industry. If you have any idea as well as a budget to make it happen, we will work with you to accomplish your vision.